NOW IS THE TIME TO RISE UP! Order Today!! NOW IS THE TIME TO RISE UP! Shannon shares poignant stories that detail the struggles in her journey to be the “Woman of God” she was called to be. She realized that she was living below her privileges and that she was being watched by the people of the world. She made a choice to turn away from the things of her past and represent GOD fully. Her life has been like a butterfly going through its metamorphosis as it slowly evolves, transforms, and rises up to spread its wings and soar towards His marvelous light. 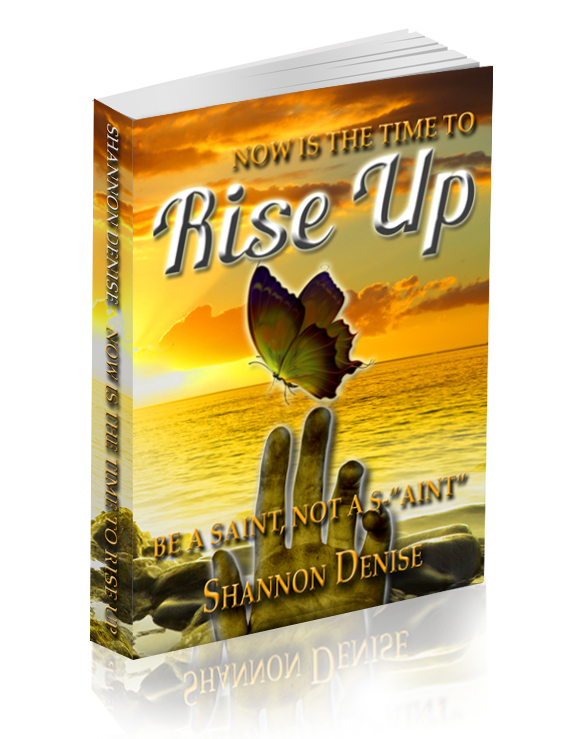 She hopes that her life’s experiences and revelations will ignite a fire in Christians of all ages to Rise Up and Be Real Saints and not S”Aints”. Purchase Today for the holidays!! !